Strapa’s Primus band is sumptuous and perennial. It’s the top of the top in every way, given Strapa’s strict standards of quality. The company’s ethos is simple. 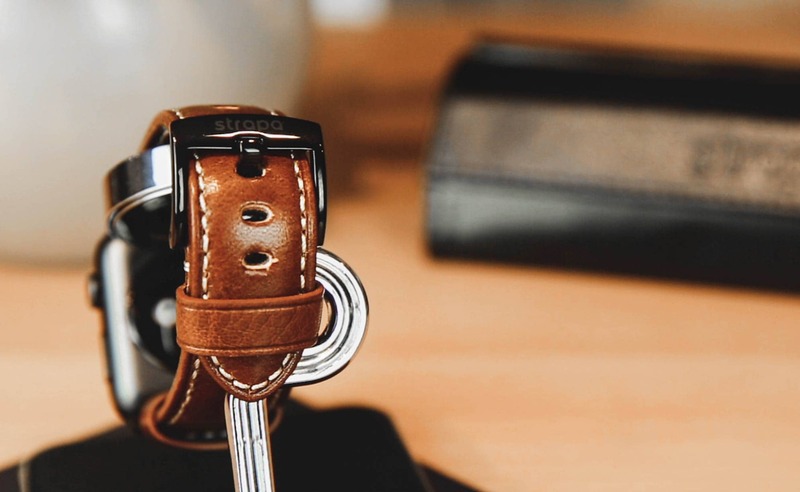 It believes in crafting Apple Watch bands that are rugged, simple, durable and timeless. We were truly impressed during the filming of this video. Strapa passes all of its self-professed benchmarks. From the embossed packaging to the rich mahogany band, the Primus experience met and exceeded our expectations. 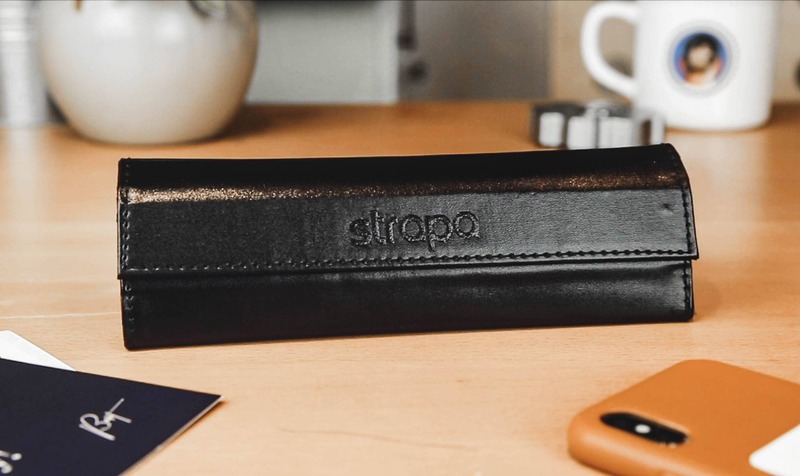 Strapa makes its $105 Primus band from top-grade Italian calfskin leather. The raw material undergoes a process of tanning and polishing to achieve a rich, distinguished, glossy look and feel. The production of this band is seriously top-quality. It’s a band full of character and charm, and it’s ready to be strapped on to experience the world’s adventures with you. Don’t believe us? Watch our unboxing video above! The rugged, Italian leather is lined with a thinner leather backing, and stitched with linen thread in homage to traditional artisanal saddlery and leather-working. The design is classic, and the band is unbelievably durable. The strap has a smooth leather backing, which gives it a luxurious feel. It is carefully stitched with a tough linen thread, which helps prevent the leather from stretching and morphing even after months of wear. 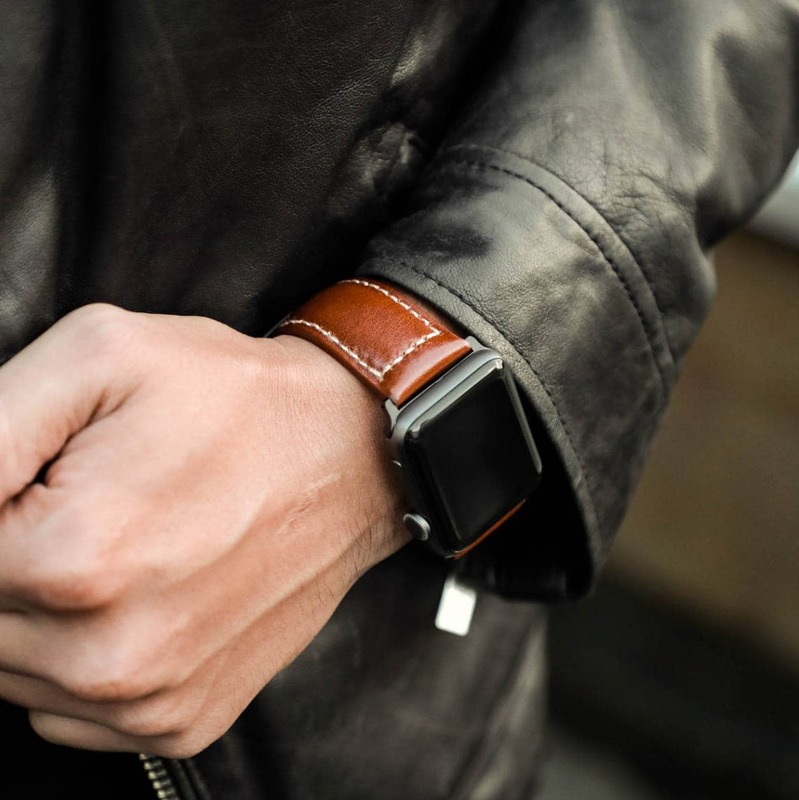 Unlike many cheap leather imitations with extravagant price tags, this band is wonderfully substantial. Thick and padded for added comfort, Primus lacks nothing in quality. Strapa’s polished buckles are glassy and smooth, making a smart pair for the Primus’ rich and glossy finish. Strapa offers two options for the color of the buckle and adapters, and two different finishes. You can choose between silver or black hardware, and a matte or polished finish. 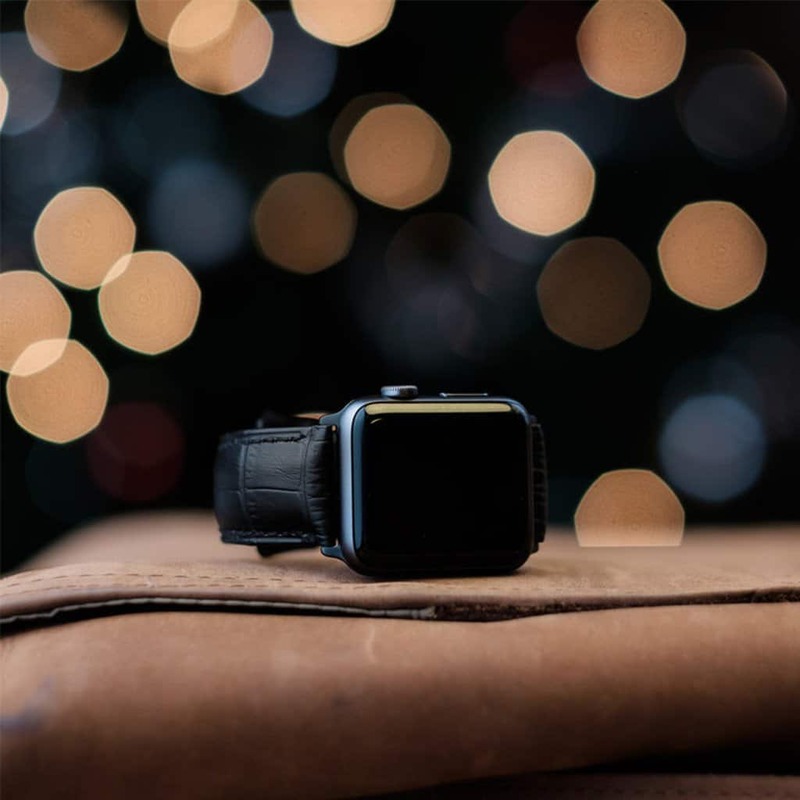 The Primus strap we unboxed has a suave, glossy black buckle (pictured) recommended for the stainless steel Apple Watch models. The matte buckle is best for the aluminum Apple Watch Sport models. 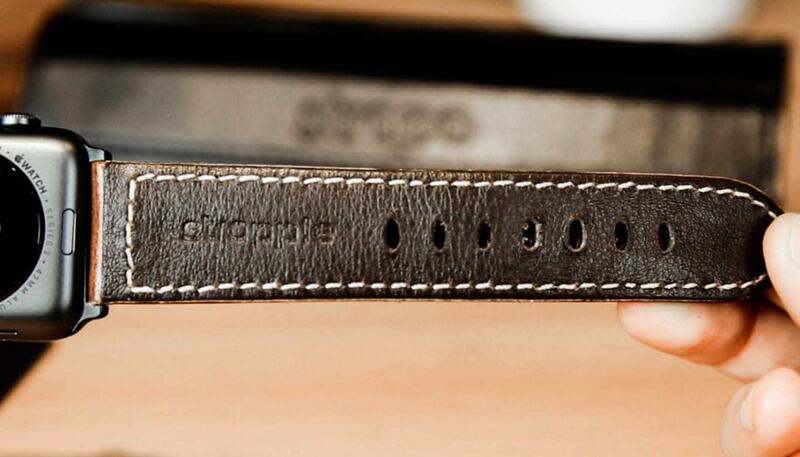 Strapa engineered its buckle designs to ensure they aren’t sharp and won’t damage the leather of the band. It’s clear that Strapa spoils its customers with the best in design and craftsmanship. Our unboxing experience was so striking the first time, we just had to dive in again with the Primus. Each band has its own allure and character. Strapa’s Crocodilus band is robust and bold, but the Primus is different. It’s a paradigm of classic vintage watch bands expertly reappropriated for the modern, tech world. You can purchase the Strapa Primus Watch Band for $105 at our Watch Store. 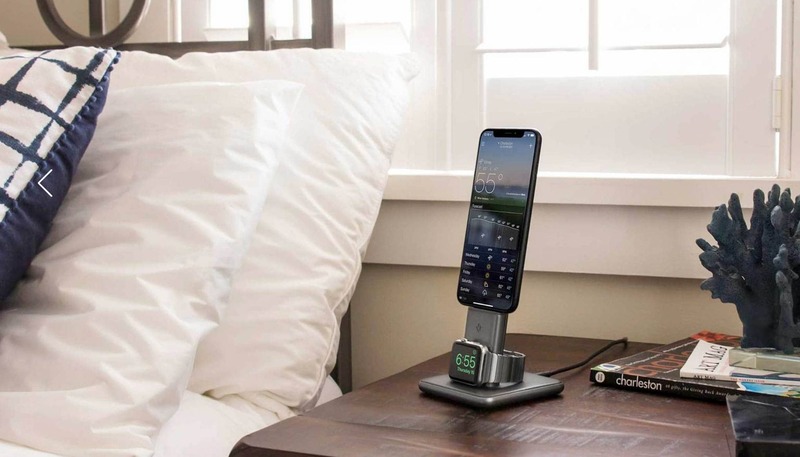 Like all of Strapa’s bands, the Primus is compatible with the Apple Watch Series 4.